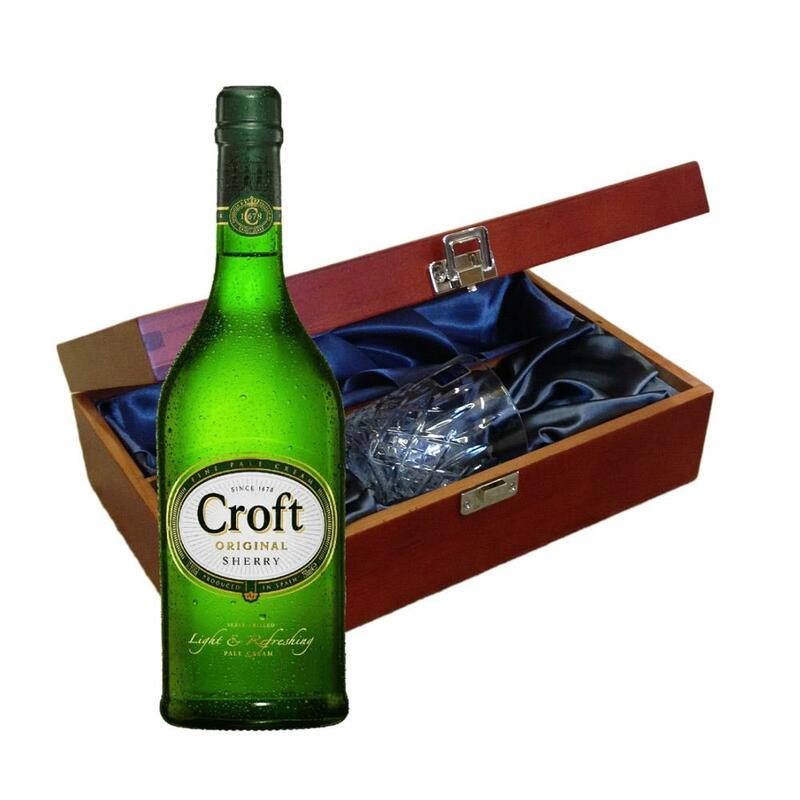 Send a bottle of Croft Original Sherry 70cl wine in a lovely box beautifully stained featuring traditional joins with hinged lid and clasp fastening. Along with a beautiful hand cut lead crystal Royal Scot glass. All gifts come with a gift card with a message of your choice. Croft Original Sherry - Croft Original pale cream is a suitable blend of the pale dryness of quality fino sherry with the added depth and body of a cream. It is both light and delicate in colour yet smooth and luxurious in its taste. Like all fine white wines Croft Original is best served chilled from the fridge as an apperitif or as a delicious accompaniment to pate salmon or a fresh fruit salad. It also makes a tasty alternative to dessert wines This product is hand packed onsite by Gifts International, and is not affiliated with any other brand. Gifts International is responsible for this product combination/set.